“A Musical Visit to England” 7:30pm Sat. 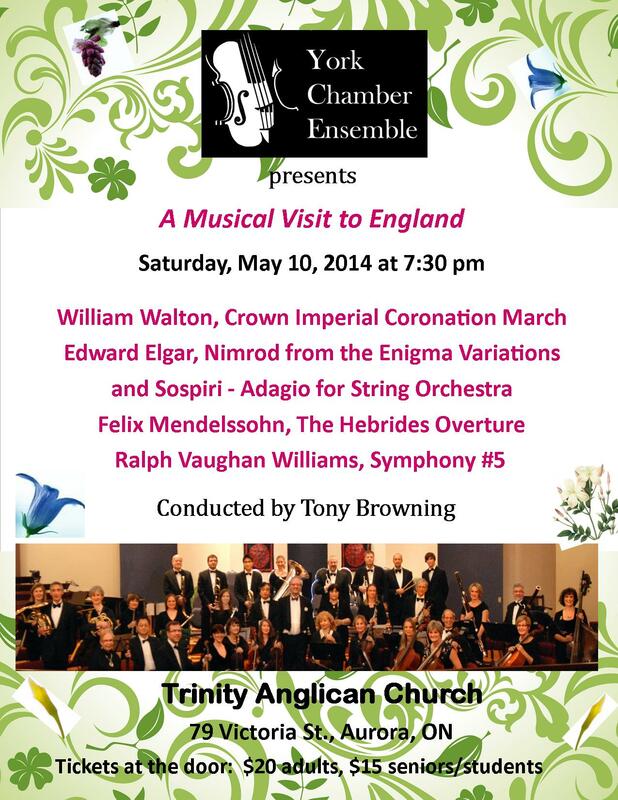 May 10th, 2014 at Trinity Anglican Church in Aurora. Tickets available at the door.